The Broken Sword is a modern Norse myth that both dazzles and disappoints with its tale of unwitting mortals caught in the web of gods. When just a newborn, our hero Skafloc is snatched from his mother’s breast due to the machinations of a disgruntled witch, who hates the babe’s father. This crone tricks Imric, a mighty lord of the elf-folk, into substituting a half-elf, half-troll changeling named Valgard for Skafloc. Thereafter, the two babies grow up in different worlds; each unaware of the switch that had occurred so long ago. But while Imric is joyful and proud of his new human fosterling, Skafloc’s life among the elf-folk begins ominously: Skirnir, messenger of the Aesirs, coming unlooked for to the elf-lord’s domain. Upon his arrival, Skirnir bears a broken sword of old, which he casts down as a gift for the human child, proclaiming that one day Skafloc will need to reforge the accursed blade to fight a horrible foe. Imric, however, disregards the ill words, hiding the weapon away, holding on to the joy that the human child brings to the ethereal world of the elf-folk. Years pass by peacefully. Skafloc grows tall and strong, coupling the strength of man with the wisdom and grace of the elf. Not only is he beloved by all (in their otherworldly way), girded in the finest armor to be found, wielding the mightiest of blades, but he is a warrior of renown, fighting by his foster father’s side far and wide against the elf-folks most vile enemies: the trolls. In the human world, Valgard has grown in equal measure. He is tall and strong (a perfect twin to Skafloc), feared by all due to his fierce raids. Yet Valgard is a strange child and man, silent and brooding, full of hidden nastiness and rage, who seemingly is ill at ease anywhere except upon his mighty raiding ship. And hiding in the background, forgotten by all, is the witch, who finds that the abduction of Skafloc has not brought the misery she desired to his family. Thus, she sets into motion a vile plan with the help of a mighty godling; one which will ultimately doom Skafloc, Valgard, their families, the elf-folk, and troll-kind! After finishing The Broken Sword, I can easily declare that it is an entertaining tale which does many things well. One, Poul Anderson does a masterful job of mixing the ethereal otherworld of elf, troll, and gods with the mortal realm of man and the Christian faith; each residing upon the other like two window panes of glass, seemingly separate entities yet unerringly connected to the other. Every action in one reflected in some way upon the other. Two, the characters portrayed are complex, intriguing, and epic in their own individual way. The “bad guys” have their reasons for their actions; reasons that are not only pointed to but also fleshed out enough to actually matter. And even the “good guys” are not pearly white bastions of sanctity but men and women who commit vile acts (knowingly or unknowingly) that leave them doomed to fates much worse than any they would have ever dreamed possible. Three, this narrative absolutely captures the grand spirit of the ancient Norse myth. It is epic in its tone, tragic in its twists and turns, and constantly demands of its heroes a frantic fight against the coming doom that they can discern but do not know how to avoid. However, some of the very things that makes The Broken Sword a grand epic in the spirit of Beowulf is also its worst problems. As mentioned, the doom of the hero is foretold at his birth. Not only that but other fae-folk, gods, and even mortals foreshadow the coming tragedies throughout the narrative, so when the unexpected doom falls upon our heroes, it is something that most readers will have guessed long before it is actually happens. A fact which made the story not awe-inspiring and exciting but disappointing and dull. 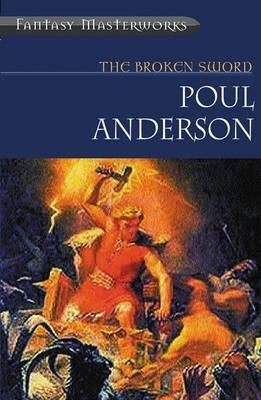 Even with that seemingly harsh criticism, Poul Anderson wrote an outstanding modern Norse myth with The Broken Sword. More relatable than Tolkien’s The Silmarillion yet just as dramatic, it is a tale that fantasy fans will definitely savor. Open Road Media and Netgalley provided this book to me for free in return for an honest review. The review above was not paid for or influenced in any way by any person, entity or organization, but is my own personal opinions. BUY The Broken Sword AT AMAZON. 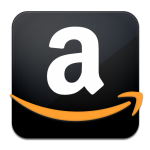 This entry was posted in 3 Stars, Fairy Tale, Fantasy, Sword and Sorcery and tagged classic fantasy novels, Norse myths, Poul Anderson, The Broken Sword. Bookmark the permalink.